How beneficial is a game of basketball? Cardio: A great form of cardio that keeps your heart pumping, improving its heath and reducing the risk of heart related diseases like strokes. It also helps the individual build their endurance. Calorie burning: Basketball is a form of aerobic workout that involves a lot of running, jumping and quick moves which makes it an ideal way to burn those extra kilos. This sport is so fast paced that a session makes a person burn about 600 calories an hour. 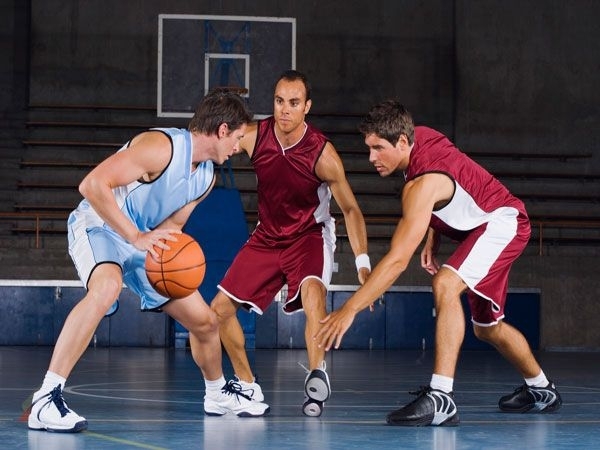 Body health: Basketball improves both bone and muscle health as it involves weight bearing and bone to muscle tugging. These activities promote new bone tissue formation which improves your overall bone health. Stress buster: A high paced and fun sport that keeps your heart racing, basketball helps in reducing your stress levels. This improves one’s focus on other activities and prevents depression. Full body workout: As good as any strengthen training session in the gym, basketball works on the entire body. It strengthens the legs and promotes development of muscles. The game also strengthens your hands, back, arms and shoulders too while dribbling and scoring. Improved coordination: A game that requires intense levels of concentration and coordination, it trains your body well. This game improves the person’s hand-eye coordination with every basket and rebound. Concentration and confidence: A game that definitely requires immense disciple and concentration, basketball not only boosts the person’s mental health but confidence too as they begin to master the game and get better at it with every session. If you’re looking to burn those extra kilos but can’t seem to get yourself to the gym, just go play some ball instead!